"When my mother Angela, was six years old, she felt sorry for the Baby Jesus in the Christmas crib...." Frank McCourt's first Christmas book is by turns tender and heartwarming, and wholly unforgettable. Angela is six years old and worries for the Baby Jesus on the altar of St. Joseph's Church near School House Lane in Limerick, Ireland, where she lives. December nights are damp and cold, and the church is dark. The Baby Jesus' mother doesn't even have a blanket to cover him, The Baby is sure to need Angela's help, even if she is not allowed to step near the altar, especially by herself. 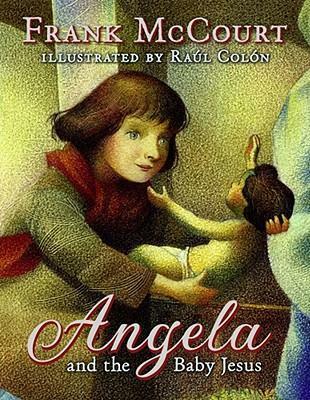 Filled with the character and incident that have made Pulitzer Prize recipient Frank McCourt internationally renowned and beloved, "Angela and the Baby Jesus" is a timeless story of family -- and all of its joy, tradition, love, and incongruity -- and a book for the generations to cherish.